In recent decades, much of youth research in Chinese societies has sought to understand the transformation of the younger generation and their social environment in the context of globalization, deindustrialization and economic insecurity. The epochal events of the global economic transformation and financial crisis, along with long-term Chinese social trends such as rising unemployment, income di… sparity, and migration, are in the process of creating new structural relations between young people and related social actors. 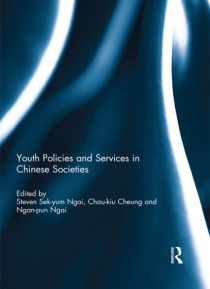 Accordingly, this book charts the current conditions of youth services and policies in Chinese societies by examining case studies in Beijing, Jinan, Shanghai, Tianjin, and Hong Kong. The chapters address the related issues stemming from unemployment, volunteering, internal migration, economic disadvantages, school social work, and leadership training. Through comparative analyses of the aforementioned issues, the collection highlights contemporary issues in Chinese youth policies and services, including work commitment, social inclusion, social support from family and teachers, volunteering, and leadership training. The book argues that the strengthening of empowerment and social inclusion in Chinese youth services offers a solution to problems of alienation, powerlessness, and underclass status. The quest for social inclusion therefore merits renewed attention in the youth policies and services of Chinese societies.This was originally published as a special issue of the International Journal of Adolescence and Youth.